Ghost Stories is a horrifying collection of tales that will leave you terrified not only of the supernatural but of the capabilities of the human mind. A good horror film is hard to come by these days, with many having the tendency to overproduce the scares. But as soon as the lights dim, Ghost Stories proves to be a different experience and immediately has you hooked. For those of who thrive on being taken aboard a psychological rollercoaster, Ghost Stories is most certainly the film to see. Based on their stage play, directors Andy Nyman and Jeremy Dyson delve into three terrifying tales of the supernatural encased in an interesting framing device. Immediately the choice to break the fourth wall and have Nyman address the audience creates a documentary-like tone to the film, bringing a level of realism to the narrative and this sense of reality makes for an even more unsettling delivery. Case one – Tony Matthews (Paul Whitehouse) is a night watchman working in an abandoned insane asylum for women and bites off more than he can chew when he discovers he is not alone. Case two – Simon Rifkind (Alex Lawther) is a socially awkward teenager who has been emotionally scarred by his experience with the devil (who wouldn’t be). Finally, case three – Mike Priddle (Martin Freeman) has a strange encounter with a poltergeist. It is paranormal sceptic Phillip Goodman’s (Andy Nyman) job to investigate these unsolved cases and provide his role model Charles Cameron with a logical explanation for each case. There’s only so much I can say in terms of plot without stripping the true thrill from the film, but it’s a highly recommended experience. Throughout the film, a tense and uncomfortable sensation overwhelms. 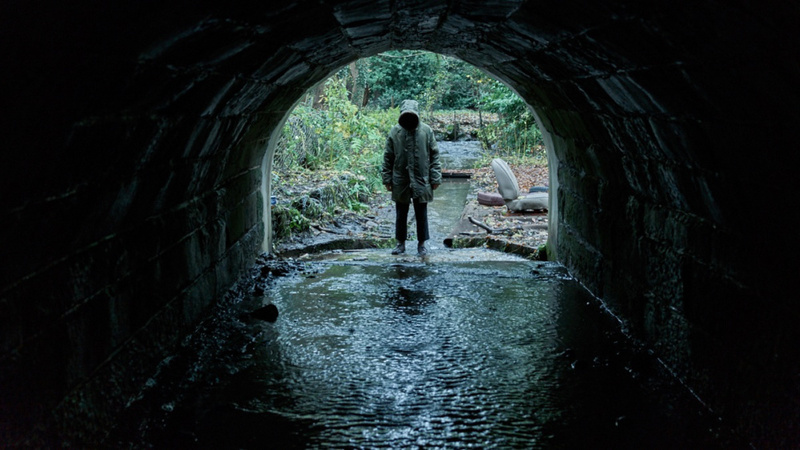 Due to Andy Nyman’s involvement, it is not surprising that the movie makes you feel this way, as he has previously worked with psychological illusionist Derren Brown, whose shows have an identifiable creepy and unnerving quality to them. Without a doubt the tone of the film is the eeriness of Derren Brown intertwined with the disturbing nature of Black Mirror. The dry humour present in the script also provided some light relief from the dark themes of the narrative but will clearly make audience members feel uneasy, as the laughter could end at any given moment with a jump scare or some spine chilling visuals. However the beauty of this horror lies in its subtlety, which is pure indication of the talents and charms of British horror. The performance of the cast members also contribute to the film’s brilliance. Whitehouse, Lawther and Freeman are all ideally suited to their characters and play them effortlessly. One negative of the film, however, is its predominantly male cast and lack of female leads. However take this with a pinch of salt, as further readings have defined this film as a representation of the male psyche and its anxieties, which proves for an even more interesting reception of this unconventional horror. The set design is also credible, of course we have the clichéd settings of the horror genre like the dark woods or an abandoned insane asylum, but the typical everyday locations still manage to appear ghostly, like Cameron’s caravan or the dingy depressing pub – a location which all of us have probably experienced at some point in our lives. There are moments of emptiness followed by moments of extreme claustrophobia, the film achieves the perfect balance between deafening silences and heart racing jump scares. Ghost Stories provides a noir-esque aesthetic with an impending sense of doom throughout and its sudden change of tone towards the end really throws its audience into a tangible nightmare – a panic attack personified. “The brain sees what it wants to see” and trust me, it will definitely want to see this. Ghost Stories (2018), directed by Jeremy Dyson and Andy Nyman, is distributed in the UK by Lionsgate, certificate 15.